The spectrometer, which collects and returns data, aboard Voyager 1 was built to withstand temperatures as low as minus 35 degrees Celsius (minus 31 degrees Fahrenheit), The heater nearest the spectrometer was actually shut off 17 years ago and other heaters in the spacecraft kept the temperature around minus 56 degrees Celsius (minus 69 degrees Fahrenheit.) Scientists believe the termperature inside Voyager 1 will read minus 79 degrees Celsius (or minus 110 degrees Fahrenheit), since that’s as low as the thermometer will indicate. In what may be a tragedy for amateur astronomers and astrophotographers world-wide, the 130 year old Eastman Kodak company filed for bankruptcy today. Although this move wasn’t unexpected, it is still a little disheartening. Yet, there still may be hope. The company filed for Chapter 11 protection which will allow it to reorganize its business to eliminate debt and keep operating. If they are successful, the company can come out from court supervision and continue in business. However, in order to eliminate the accumulated debt, Kodak is going to sell off most of its patent portfolio. I will be keeping a close eye on this story as a large percentage of the astronomy cameras produced in the world today use Kodak chips. Posted in Work and Play. I just started searching For topics related to astronomy and the law. I was amazed at the amount of information that I’ve been missing out on. Evidently there was this thing called the space race, you may have heard about it. Evidently, it started back sometime around 1960. Obviously since I wasn’t born until 1962, I missed the entire thing. Actually, I have very vivid memories of the Apollo 11 mission landing on the moon. I can remember sitting in front of our then massive 19 inch Zenith color console TV with tubes watching those black-and-white images of Neil Armstrong taking his 1st steps on the surface of the moon. Just the year before my aunt had taken me to see a remarkable movie 2001: A Space Odyssey. I can still remember sitting in the Cooper theater in downtown Grand Junction Colorado and being absolutely captivated by the images that were perpetrated on screen. I have to I’ve my aunt credit for starting me down the path of astronomy geekdom. These days, the special effects that so enthralled me as a young boy would not impress any of today’s current generation. Even the next greatest science fiction film, in my opinion, Star Wars, is unimpressive to the current generation. To be young and full of imagination and hope and the skies the limit once again. But now I have to concern myself with the practical matters that all those during men in their flying machines accomplished. What is to become of space. 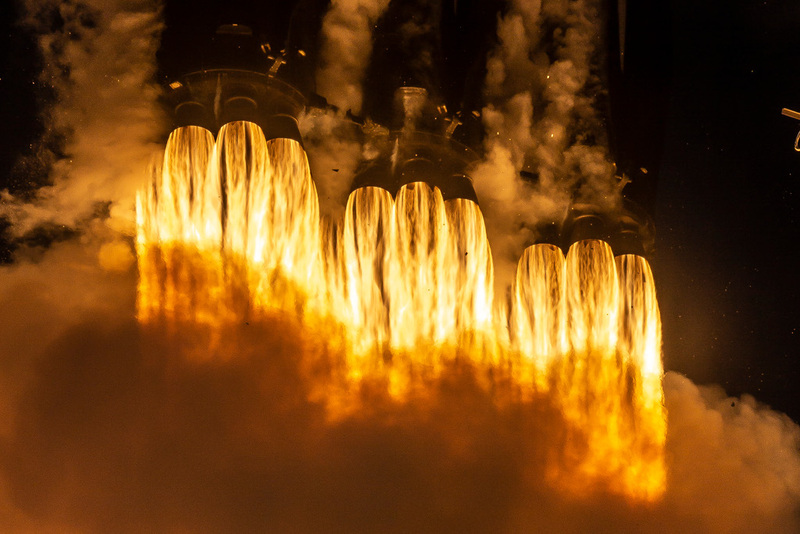 Obviously it’s still massively expensive to explore space, but lately there are many endeavors to make viable for commercial exploitation. Although the US is a signatory to many treaties regarding the use of space, how will this translate when corporations are flying the heavens. It seems that space may fall under the influence of corporate greed and disregard for anything that doesn’t contribute to the bottom line. So I find myself contemplating brushing up on title 51 of the United States code which deals directly with how the US treats space. Being an attorney, I know the laws slow to evolve, and when it does sometimes it does it completely wrong. So hopefully, I can add my voice to others already in the community to help shape, guide and mold future uses of the space above our heads. So I have to go now, to start reading, studying and catching up on more than 60 years of space law. Let me know what you think about the commercialization of space. Last night I gave a presentation for the public for my astronomy club (www.rivastro.org) about using free and open source software for astronomy, both visual and astrophotography. I was very please that the people that attended were pleasantly surprised at the amount and quality of the software available. The lecture was recorded and as soon as I can edit everything together, I will post it on youtube. Stay tuned. Every year for the past 29 years there has been one of the best astronomy gatherings in the western United States. 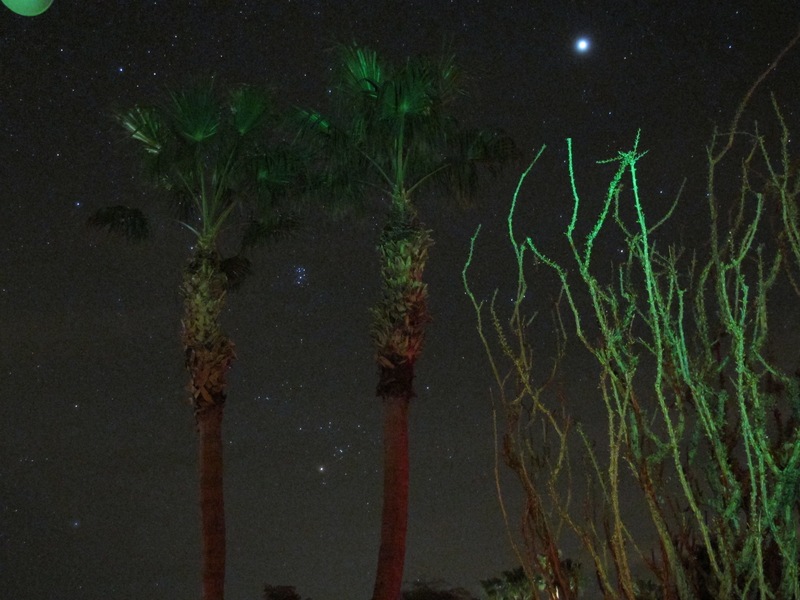 Nightfall happens in the fall at the Palm Canyon Resort in Borrego Springs, CA. This year all the rooms in the hotel sold out as well as all the RV spaces. Three other hotels in the area took the overflow. 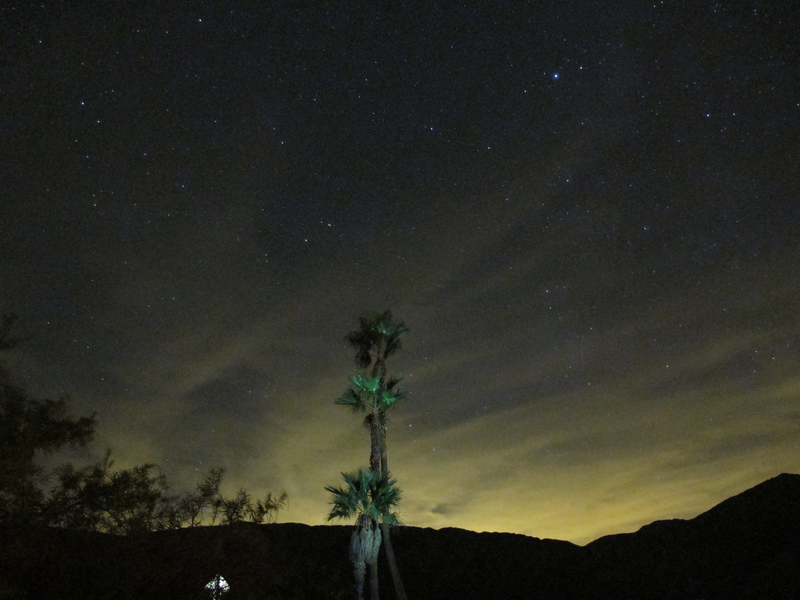 Borrego Springs was the first city in California to be designated an official dark sky city. This means that the city actively works to keep light pollution to a minimum which makes the observing unbeleivable. There are both visual and astrophoto areas set aside so that any stray light from a computer won’t ruin the observer’s night vision. These are a few photos I took with my new Canon G12 (yeah birthday presents!). As you can see, you don’t need a bunch of fancy equipment to enjoy photographing the sky. This first picture is a palm at the very western edge of the resort facing the San Diego metro area. 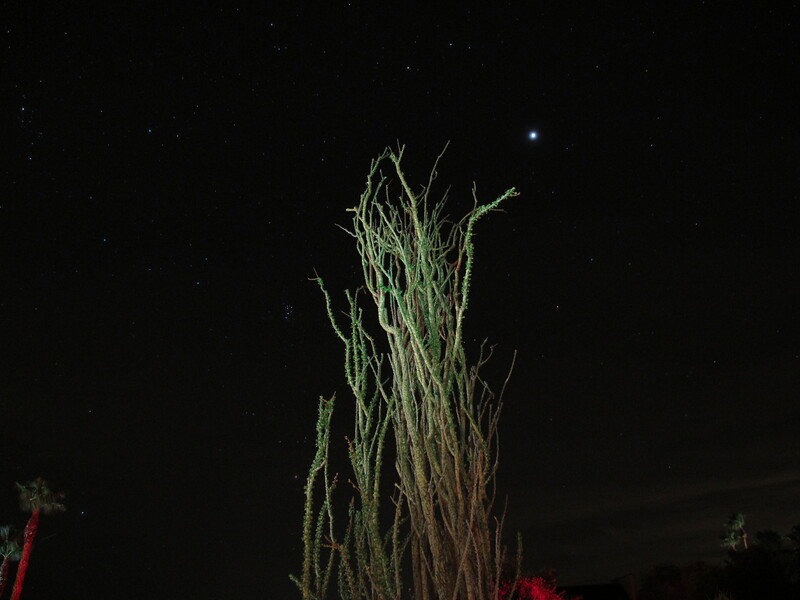 This photo is an ocotillo plant facing east. You can see the Pleadies on the lower left side and Jupiter on the upper right side of the plant. A couple of palm trees frames the Pleadies nicely with Jupiter off to the side. All of the photos were 15 second exposures with a little light painting from a green flashlight. So, I have been requested to show some of my astrophotos by my subscribers. I thought I would first show you where I actually take my photos. Below you can see the front and rear of my slide off roof observatory at my club’s dark sky sight in Landers, Ca. I travel about 135 miles one way to get to my place, but it is well worth it to me. I have most of the creature comforts inside. A bed, computer, TV, refrigerator, and some drawer units to house my summer and winter clothing needs. (Click on the photos for larger images).